Double Dragon was THE beat’em up for a long time back in the eighties and till today over 25 years later it is still not forgotten, while the most of its sequels were not that good and didn’t improve the series. 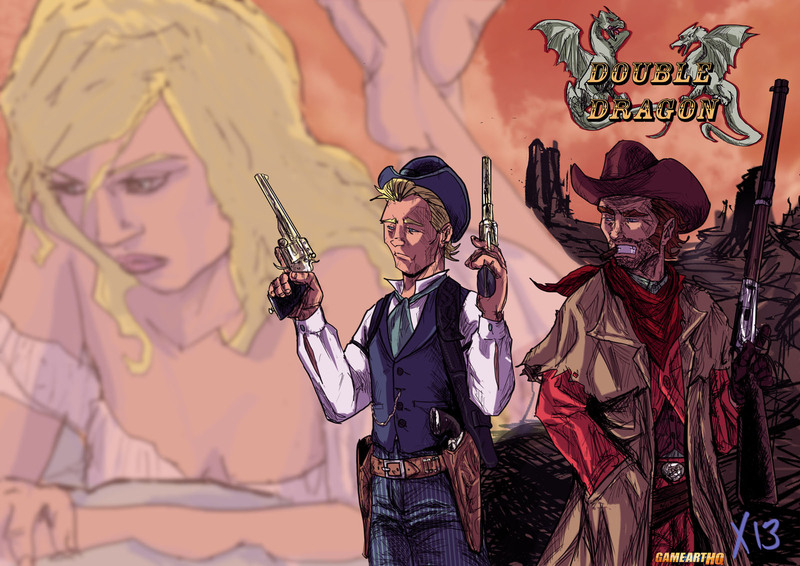 Billy and Jimmy Lee, the brothers known as the “Double Dragon’s” had to rescue their love interest Marian and that’s what Xavier from France also known as Xavtk used as the base for his entry in the “Wild West Fighters” Art Contest we had a few weeks ago on our deviantART group Fighting Games Elite. The idea was to redesign fighting or beat ’em up games and their characters into the good old wild west theme. 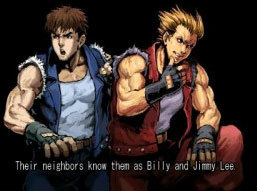 And so we have Billy and Jimmy Lee here as Cowboys or Bounty Hunters on their war against the Shadow Warriors Clan.